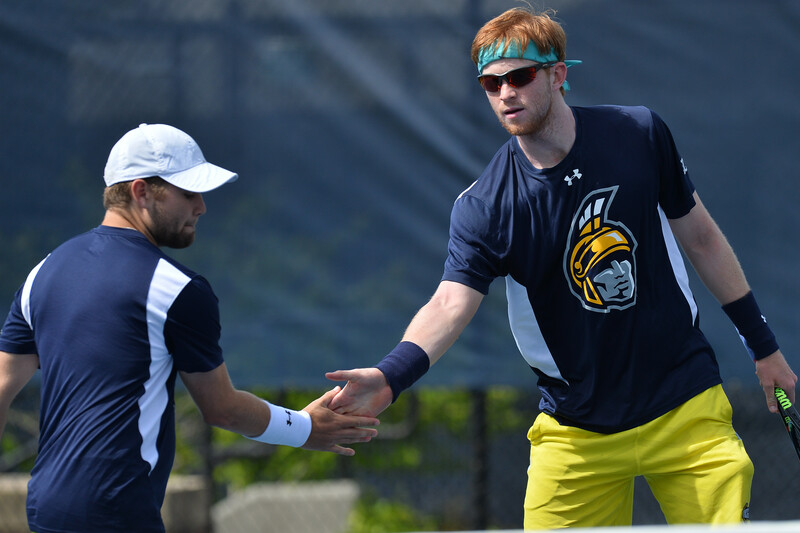 Tennis at UNCG opened up last Wednesday, April 13, with the Men’s Tennis Senior Day against UNC Charlotte. James Flynn, Daniel Mack and Gaston Murray played their final home games of their Spartan careers. However, Murray was the only one to take his final match against Sam Rice (6-2, 6-2). Despite the losses, the blue and gold took four out of the seven single matches and two out of the three double matches to win the tournament. The two standout matches of the singles tournament were the three set marathons between Warren Bryan (UNCG) vs. Alejandro Garcia Moreno and Jordi Massalle Ferrer vs. Daniel Mack (UNCG). Each match began with the UNC Charlotte player taking the early lead with a first set win, only for the Spartan players to rebound in the second set. In the Ferrer vs. Mack match, it took a tough 7-6 final set to give the 49ers the victory, while the Spartan Warren Bryan took his final set 7-5. Despite the loss in the singles match, Daniel Mack, along with Connor Thompson, swept through their doubles opponents 6-0. Logan Walker and Warren Bryan then won a hard fought 7-6 match against Charlotte’s Josh Aubrey and Carl Solik. Saturday, April 16 marked the last regular season match for UNCG’s Men’s Tennis team. The team traveled west to Chattanooga, Tennessee to face the Chattanooga Mocs for their last match of the season before beginning Southern Conference Championships on Friday, April 22. The Spartans boasted a sweep in their doubles competition, defeating The Mocs 6-2, 11-9, and 6-0. The pairs consisted of sophomore Connor Thompson and senior Daniel Mack, sophomore Logan Walker and junior Warren Mack, and lastly, first-year players Ian Melnick and William Albright. The singles competition ended in a split decision, with UNCG and UTC both winning three of their six scheduled matches. 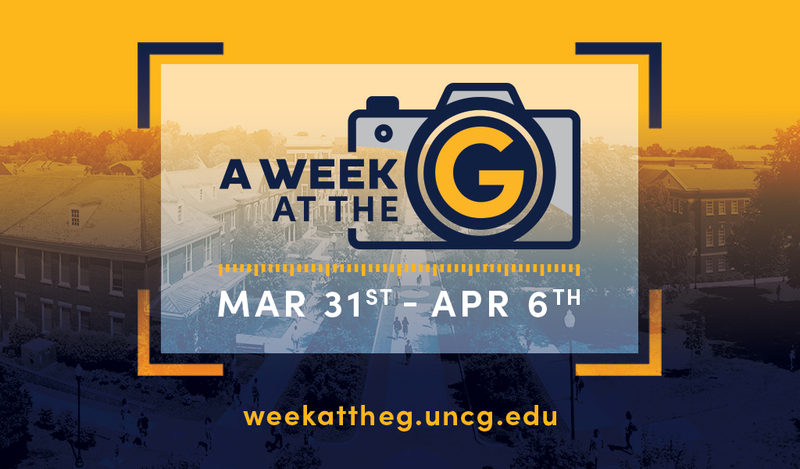 The UNCG wins came from William Albright, Warren Bryan, and Ian Melnick. These matches left the Spartans finishing their 2016 regular season with a poor 9-12 record on the year and a dismal 2-5 record within their conference. Chattanooga finished with an even worse record of 7-14 in the regular season and an embarrassing 1-6 record within the conference. The Spartans will have a short week to rest before heading back to Chattanooga to compete in the Southern Conference Championships on Friday, April 22. They will begin the championships by facing the third seed Furman Paladins, a team they lost a match to earlier in the year in Greensboro with a score of 5-2. UNCG’s Women’s tennis team hosted the University of North Carolina at Charlotte’s 49ers team in their season finale Friday, April 15. This match would be the last time seniors Amy Ellis, Jamie Grinberg and Sourneya Anane competed as Spartans at home, proving to be an emotional day for those competing. The day ended with the Spartans falling 5-2 on senior day, leaving them to finish 8-12 in the regular season and pushing the 49ers to an even record of 9-9. UNCG struggled in both the singles and doubles competitions, winning only three of the nine scheduled matches. Spartan freshman Sarah Swiderski shined Friday, winning in both her singles competition against the 49ers’ Tai Martin and her doubles competition alongside sophomore Blaine Boaz. Spartan junior Masey DeMoss was the only other UNCG player to earn a point, defeating 49er Sierra Stone 6-0, 6-2 in her singles competition. The Lady Spartans will hope to fare better in the Southern Conference Championships when they return to action on Friday, the 22, in Chattanooga Tennessee to face the no. 3 ranked Mocs. 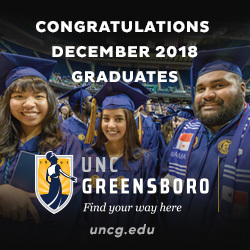 For more information on Spartan Tennis or updates during the SoCon Championship, visit http://www.uncgspartans.com and be sure to use the hashtag #letsgoG to connect with the teams and show your support for all athletic events. This is the single most innacurate article I have ever read. If you’re going to write about how horrendous the UNCG men’s tennis team is, you should at least use spell check and fix all the false information you provided. What a joke of a writer.